When Dustin Onghanseng suffered from chronic asthma attacks in Hong Kong three years ago, he suspected it was caused by something in the air in the building where he stayed. The Filipino, a former management consultant, was in the former crown colony to attend business school. There he met Brian Lin, who also suffered from a respiratory condition. Deeply disappointed by the lack of concern from the building administrator, Onghanseng and Lin channeled their frustration into a positive endeavor. 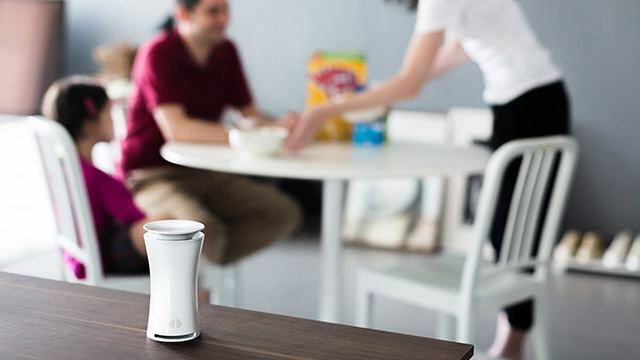 They began developing an air-quality sensor that warns users against the presence of allergens and toxins in indoor air. 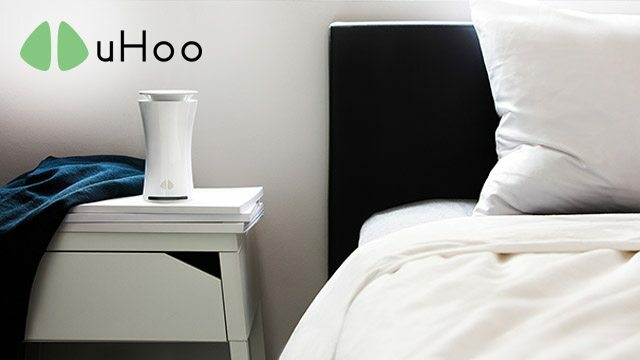 In 2014, they founded UHoo, a startup that would develop an air-quality monitoring device. With Onghanseng as CEO and Lin as chief technology officer, the startup designed and built an indoor device equipped with eight sensors. These sensors, packed inside a gadget 6.2 inches high and 3.3 inches wide can detect air temperature, air pressure, humidity, carbon dioxide, airborne chemicals, dust, carbon monoxide and ozone. That’s a lot of monitoring power in a device that is roughly the same size as a Starbucks Venti cup. The device comes with an application, downloadable on an iOS or Android smartphone, that transmits real-time data from its sensors. With information from the device, users can act appropriately to reduce the harmful elements in the air. Different kinds of filters are required for different types of allergens and toxins. “Especially for people suffering from asthma or rhinitis, having the knowledge about what’s wrong with the environment I’m in helps me to either prevent or do something to stop making things worse,” Onghanseng said while taking part in a startup pitching contest in Manila early this month. The contest was part of Ignite, a one-day innovation conference sponsored by digital marketing firm dentsu X Philippines and startup media company TechShake. 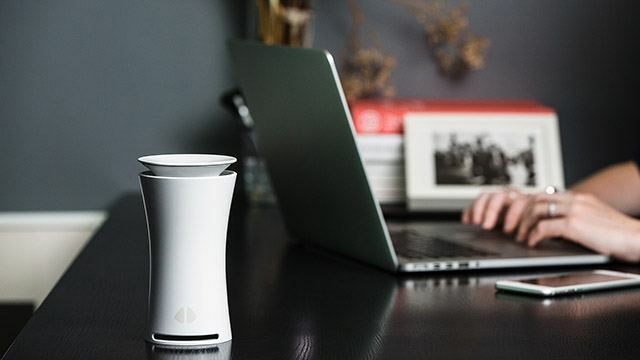 The startup claims to have the most technologically advanced air quality sensor device in the market. Priced at $299 per unit, it costs less than handheld dust and volatile organic compounds (VOC) sensors that sell for between $900 and $1,700. But it costs more than smart air quality sensors and thermostats priced between $199 and $249 that can monitor fewer allergens and toxins. The company hopes to get a slice of the growing market of the indoor air quality industry. According to Research and Markets, the indoor air quality market in the U.S. would reach $10.8 billion in four years, increasing at a compound annual growth rate (CAGR) of 5.3 percent from 2016 to 2021. Onghanseng is banking on real estate developers, especially those building for the high-end market, to sign up for UHoo’s services. 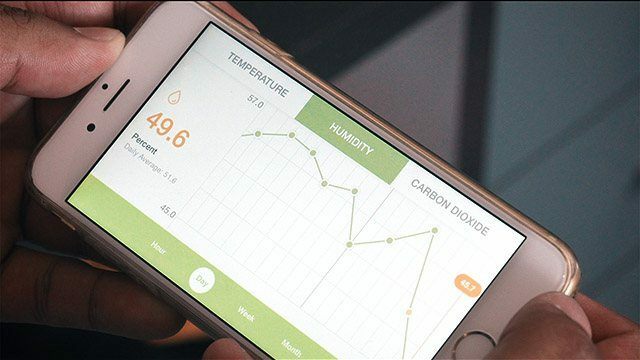 While individual consumers get a free mobile app to monitor air quality of a particular space, building owners may opt to get a web-based dashboard that can manage the different sensors installed in a building. This will cost a property developer $299 per sensor, and $99 annual fee for each unit for UHoo’s services. “Having UHoo in your building can pave the way for a LEED (Leadership in Energy and Environmental Design) certification for your space, which increases the capital value of your property,” Onghanseng added in his pitch. The Philippine-born and raised startup founder acknowledges that the market for his product is small in the country, but he has high hopes, as he targets Ayala Land Inc. and Rockwell Land Corp. as some potential clients. “We already have customers from Europe since they know the value of the product. As for Asia, the price remains a challenge,” Onghanseng said. The UHoo founder said the company has already grossed $300,000 in revenues since its official launch in March. The devices are manufactured in Taiwan. While studies for the product began way back in 2014, the company only managed to deliver products to its first customers early this year. Singapore-based venture capitalist East Ventures invested in the company during its first round of fund-raising in 2015. The following year, it turned to Indiegogo, a crowdfunding website, to raise more funds. UHoo managed to raise more than $80,000 in May 2016, more than its initial target of $50,000 from 400 backers. Onghanseng said the company is now looking into seed funding worth $1.5 million. The company has joined and won a number of startup competitions since 2014. It was one of the finalists at the IBM SmartCamp: Scale in 2016, and it won first prize at Seedstarsworld competition in Hong Kong. This is the first startup of Onghanseng, who has been a management consultant for years before jumping into entrepreneurship. He graduated with a computing degree, major in e-commerce, from the National University of Singapore in 2008. UHoo didn’t win the Ignite pitching contest but that’s not a big deal for Onghanseng. “Right now, the main focus is growing the company. The more I grow the company, the more impact I can make to the world,” he said.